Welcome to our Creative Life Scrapbooking June Blog Hop! 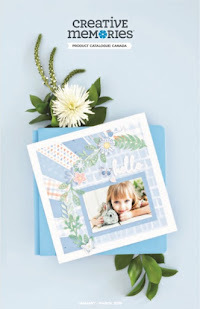 This month we're sharing lots of summer scrapbooking ideas using some of the phenomenal new Creative Memories Products! You've arrived at stop #3 on the hop from Sarah's Blog, and after this post I'll send you off to Karyn's Blog. I'll also give you a list of all the stops along the way, just in case you missed them! I personally can't believe that it's June, and summer is just around the corner! In Calgary, school goes right until the end of June and these last few weeks are sooooo hard to get through. My two sons are excited to think of long summer days spent outside - playing at new parks and playgrounds, running through the sprinkler, riding their bikes and spending time at our cabin. I'm excited to not have to make packed lunches, to enjoy an extra cup of coffee on my deck, to wear shorts or sundresses all day, and of course having time to scrapbook all our summer adventures! How serendipitous that CM released a brand new collection perfect for this - the Adventure Collection! Since it just launched on June 5, I don't have it in it's physical form yet, but we are in luck as the collection is also available in digital format. I downloaded it, added it to my Artisan Software and within about 5 minutes was creating with it! 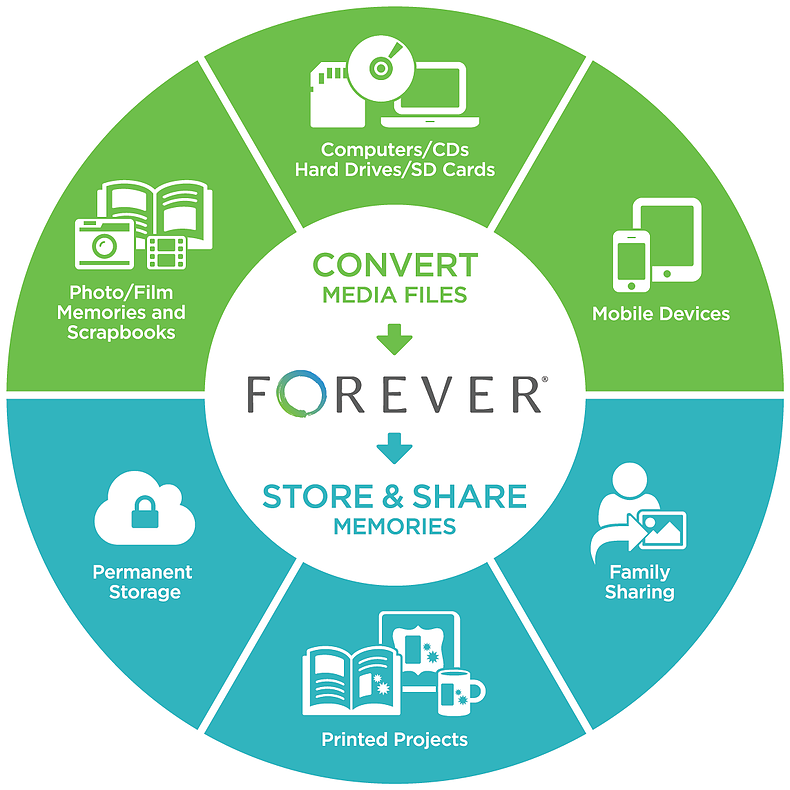 Talk about instant scrapbook gratification! I anticipate that I will be using this collection A LOT. Like, for every other layout! 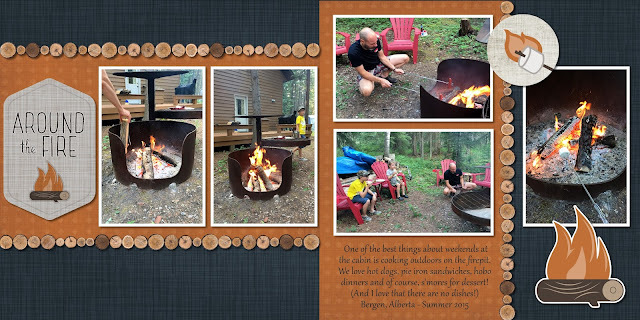 To show you just a few of the awesome papers and embellishments, I pulled some photos of our boys at our cabin from previous summers. The colors, patterns, icons and sayings in the Adventure collection highlighted them perfectly, but I think that the papers themselves will be are really versatile for all kinds of masculine and outdoorsy layouts. Use the navy woven textured paper as your background. Cut two strips measuring 7" x 12" from the orange square paper. Arrange one horizontally on the left hand side of the layout and one vertically on the right side as shown. Place your photos as shown. 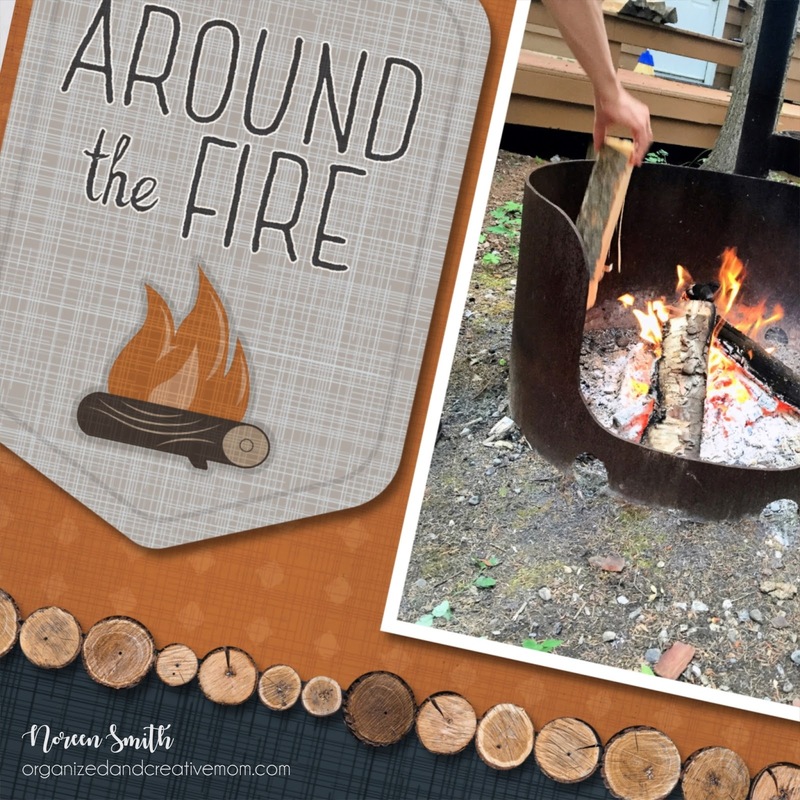 Use the "Around the Fire" Sticker as a title, and add the s'more and fire stickers as shown. Use the ombre trees paper for your background. Cut two 2" x 12" strips from the green striped paper. Dovetail one end of each to form a banner. Place them about 1/2" up from the bottom of the layout, with the straight ends to the centre. Place the two hiking boot border strips across the centre of the banners. Cut two 7" x 9" pieces from the green chevron paper. Place them above the banner strips, and place your photos on them as shown. 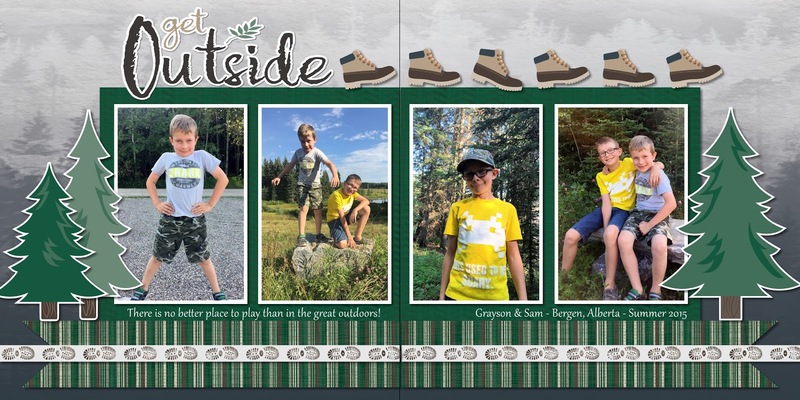 I hope these layouts have given you an idea of how this great new collection can be used with YOUR summer photos. Tell me...what are you planning to create with it? Thanks so much for stopping by! 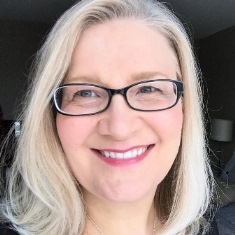 Now head on over to Karyn's Blog, and if you've missed any stops, here are the links. Make sure to stop by each and leave a little comment love! Love these digital versions of some of your 1-2-3 Scrapbook Layouts! I love how your sketches provide formulas for quick and easy - but yet stunning pages! Love your digital layouts. My non-digi gals can create these traditionally. Such talent! Thanks for sharing your wonderful designs with us!